Numbers don’t lie. And the numbers released last week in the latest ERCOT — Electric Reliability Council of Texas – planning and operations report for August shows that wind production and wind development is increasing in Texas. First, Los Vientos wind production in Cameron County began operations, with all 202 MWs going to serve Austin Energy. With this addition, there are 10,507 MWs of wind power installed in ERCOT, which covers about 80% of Texas. Second, three additional wind projects — Windhorst in Archer County, Miami Wind in Gray county and Cameron County Wind in Cameron — signed interconnection agreements and there are now some 6,000 MWs of additional wind with signed interconnection agreements waiting to be built. Coal has only one project — the Texas Clean Energy Project — an Integrated Gasification project — west of Odessa for 240 MWs, while natural gas has some 6,522 MWs of projects with signed interconnection agreements. Solar has 150 MWs of projects with signed interconnection agreements, and another 1,080 MWs undergoing studies. Interestingly, a number of storage projects are also being developed, with a 40 MW batter project expected to be completed in Harris County later this year, with several large Compressed Air Energy Storage facilities planned in West Texas in the coming years. 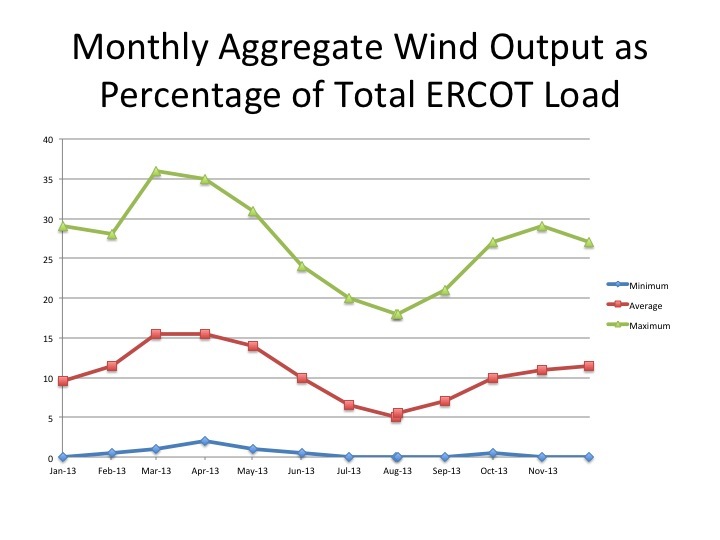 In terms of actual production, ERCOT’s Operation Reports in August found that wind averaged at least 10% of total energy production between October of 2012 and June of 2013, and only dropped to single digits in July and August when winds tend to be lower. Even so, it indicates that wind is now even contributing to summer production in a much more significant level than would have been imagined just a few years ago. ERCOT expects wind to top 16,000 MWs by 2015. It ain’t the most exciting meeting in the world, but once a month, I attend the “Reliability and Operations Subcommittee” at the Electric Reliability Council of Texas, which runs the Texas electric grid. And once a month, our group – composed of generators, consumers, market players, retailers and wires companies among others — gets a monthly planning update known officially as the “System Planning Monthly Status Report.” Click here for access to the report itself. And that report not only shows how much energy was used in ERCOT that month, it also shows how much from various types of resources, and more importantly, what resources — be they wind, solar, storage, gas, or coal — will be serving future loads. All of those proposed projects must go through financing, environmental permitting, and a complicated registration and study process with local wires companies known as an “Interconnection Agreement.” Even getting an approved interconnection agreement done is no guarantee a project will be built, because environmental permits, financing and market conditions still must exist for a project to move forward. Just ask the developers behind coal projects like Las Brisas and White Stallion where their projects are today. Fortunately, market conditions and a spirited citizen’s campaign, including the Sierra Club, helped doom those projects. So what do the latest figures tell us? They suggest that there are some 13,000 MWs of proposed energy projects that have already signed an Interconnection Agreement or are in the process of getting an interconnection agreement (some 31,000). Of those, only two projects – the Summit Power Plant in West Texas and the Sandy Creek project — are coal, and that represents only about 1,000 MWs of power, a relatively modest amount. In fact, there are slightly more MWs composed of solar projects in the process — at 1,264 MWs — than coal. Just last month, the White Camp Solar project in the panhandle became the first proposed solar plant in Texas of at least 100 MWs to officially sign an interconnection agreement with American Electric Power, which runs the electric grid in that area of the state. There is also almost 1,000 MWs of storage being looked at, and get this — some 22,000 MWs of wind power, much of which is located along the coast. The rest – about 19,000 MWs — is gas, much of intended only to meet peaking power needs. The wind story is impressive and the ERCOT document further reports that if all of the wind projects with signed interconnection agreements actually go forward, wind production within ERCOT would go from about 10,500 MWs today to some 15,000 MWs in 2015. Currently, that wind is providing anywhere from a fraction of Texas’s electricity needs, to some 35% on certain days when the wind blows hard, particularly in the spring. Source: ERCOT, Summary of Generation Interconnection Requests, June, 2013. Pedernales Electric Cooperative, one of the largest and fastest-growing electric cooperatives in the nation, finally officially adopted policies on renewable energy and energy efficiency. Today, the Board of Directors, following a multi-year discussion, approved two resolutions involving the future of their energy choices, making their transition toward a cleaner energy future a little brighter. First, the Board adopted a policy stating as their annual goal that the electric cooperative provide services, education and dollars toward energy efficiency, conservation and demand reduction programs designed to reduce growth in demand by 20% each year. While a report released last year by a consultant estimated that setting such a goal would require that PEC spend roughly $4 to $5 million per year on incentives and rebates, Board members and PEC staff emphasized that they would assess the programs each year and look for those that most cost-effecitvely meet and exceed these very reasonable goals. While the goals adopted fell short of the Sierra Club recommendation of setting a goal of at least 30% of growth — the same being met by Investor-owned utilities like AEP and ONCOR –and well short of goals adopted by CPS Energy and Austin Energy, they are indeed a good start toward bringing PEC customers programs designed to save energy and build on the programs already in place at the electric cooperative. In addition to the resolution on energy efficiency, the Board of Directors adopted a mandatory goal that the cooperative obtain at least 30 % of its capacity for energy come from renewable resources like wind, geothermal and solar energy. According to the staff, PEC currently obtains about 20% of its capacity from renewable resources, both through its contract with LCRA which includes wind and hydro power, as well as a separate wind contract it has. By adopting the resolution, those types of contracts are likely to increase in the near future, as well as specific programs designed to help get PEC cooperative members to invest in solar technologies on-site. The new PEC goal is more ambitious than the 20% goal established by CPS Energy, the energy provider in San Antonio, though not quite as aggressive as the goal adopted by Austin Energy. While the two new policies caused some PEC members to complain either that they went too far, or not far enough, both resolutions will require an annual accounting and analysis, meaning the PEC will be able to adjust the timing and scope of the goals going forward. 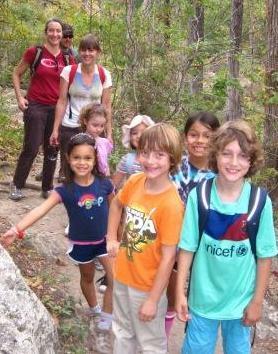 For information about PEC’s current energy savings programs, visit their blog page here. For a copy of the Board resolutions, visit here. The Case is Made for Energy Efficiency. A few great sentences to start your morning. 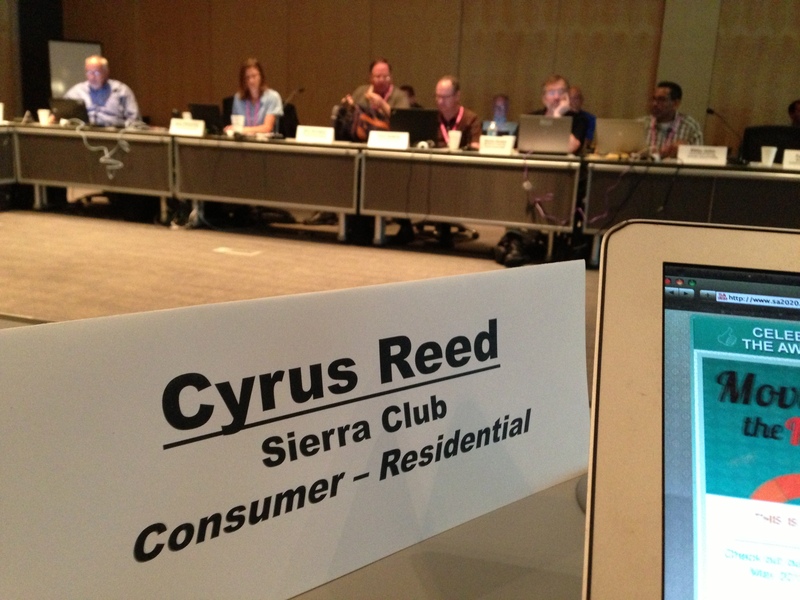 Cyrus Reed, Conservation Director of the Sierra Club, and I gave separate comments after a rousing declaration of support for “poor” Texans by a local nuclear energy advocate. I was most intrigued by the gentleman’s matrix for explaining how nuclear was the most affordable and accessible energy source available to these “poor” Texans, while solar, specifically, provided an overwhelming financial burden and is simply unaffordable to most Texans. In the comments I submitted on behalf of the Texas Apollo Alliance, we make it clear that by simplifying the registration process for distributed on-site energy generation, by strengthening Texas’ Renewable Portfolio Standard (RPS) to include more MWs produced by non-wind sources, and by implementing these modifications by 2015, ALL Texans will benefit. Stronger standards will directly lead to more investment in the solar, geothermal, and biomass sectors. If we, as advocates for the people, collectively continue to advocate for strong renewable energy standards, and advocate for low-interest loans with on-bill financing, we can help make clean energy affordable to thousands of Texans, poor and wealthy alike. Which leads me to the sexiest thing about stronger non-wind renewable energy goals: Jobs. Investment in clean energy markets = jobs. There is no doubt about that. A 2009 report by Blue-Green Alliance estimated that a 20 percent renewables target by 2020 would generate over 60,000 jobs in Texas, including 20,000 in solar development. By taking action, the PUC can spark a renewable energy rush to Texas that will not only help curb our state’s outrageous levels of toxic emissions, but help put our people back to work. The Texas Apollo Alliance will work aggressively to promote clean energy and safe, good-paying, green-collar jobs for Texans. For more information on our work and our members, head on over to our website.